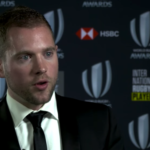 Australian Angus Gardner on winning the 2018 World Rugby Referee of the Year award at Sunday night’s ceremony in Monaco. 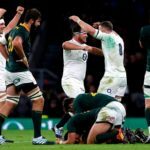 Brian Moore says referee Angus Gardner’s controversial call in the closing moments of England’s win against the Springboks was in line with his other calls in the match. Referee Angus Gardner’s next appointment will be in the Test between Kenya and Germany on 23 November. 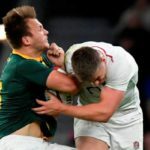 How Twitter reacted to referee Angus Gardner’s decision not to penalise England’s Owen Farrell for a dangerous tackle. 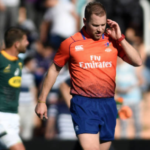 A shocking last-minute decision from referee Angus Gardner should not be used as an excuse for the Springboks’ disappointing defeat to England on Saturday, writes CRAIG LEWIS. 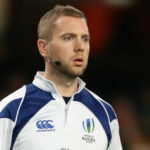 Angus Gardner will take charge of the Springboks’ end-of-year-tour opener against England at Twickenham on 3 November. Australian Angus Gardner will be the referee for the Springboks’ Rugby Championship match against the All Blacks in Pretoria on Saturday.